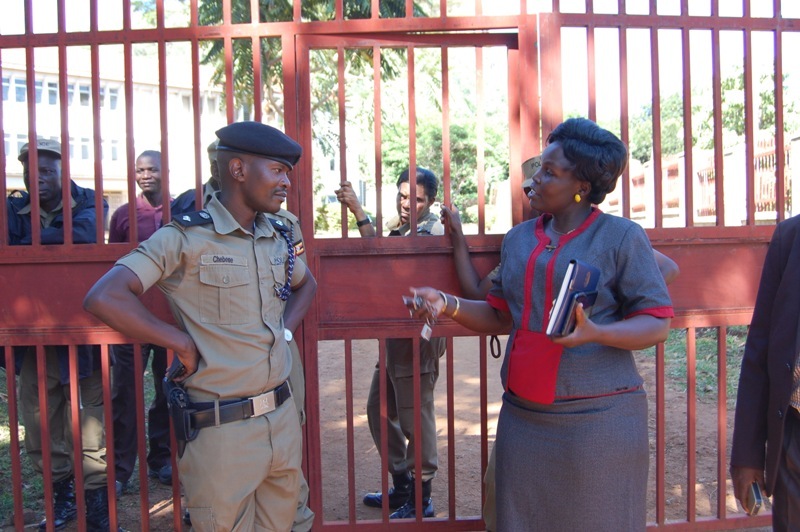 TORORO – Police have Friday, April 12.blocked the acting LCV chairperson of Tororo District Ms. Stella Imukutet Echirya from attending a district council meeting. Ms. Imukutet was denied access to the district headquarters after she disagreed with the proposal by the security officers that had been heavily deployed at every entry point leading to the district not to allow her to enter with her bodyguard. According to the District Police Commander Mr. Rogers Chebene who manned the deployment said he had received an instruction not to allow entry to any armed security officer into the council chambers or even within the enclosement of the district headquarters and so it was illegal for the chairperson to enter with her bodyguard. Despite plea presented by the acting chairperson on her threatened life if she moved without her bodyguard, Mr. Chebene insisted that the position was taken based on the intelligence information that some leaders from Tororo County had mobilized their people of which the chairperson was suspected to be part. Apart from blocking the LC5 chairperson, the police also denied journalists from covering the council session on allegation that the issues discussed did not merit being reported and if they wanted they would be briefed by the clerk to the council. 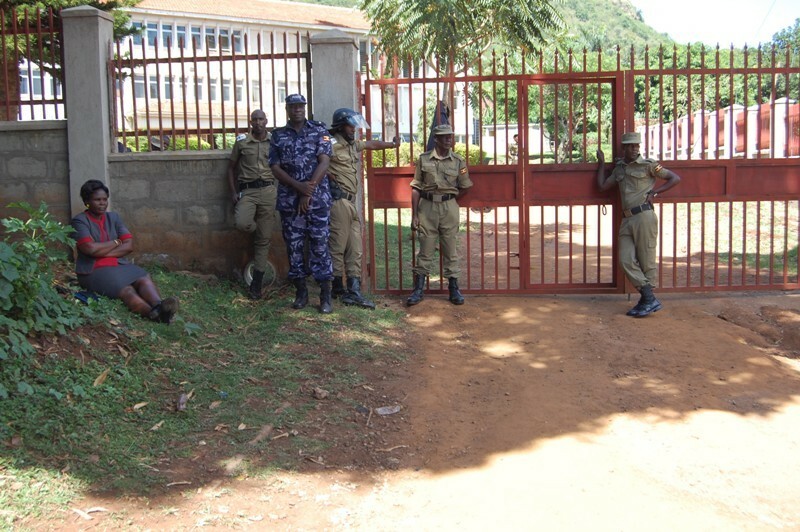 The police also blocked councilors from Tororo County from attending the same council a scenario that left the public castigate the Force for denying entry to their leaders from attending the council meeting even when they were being part of the invitees. Ms. Imukutet said she was not ready to attend the council session without her bodyguard because her life stands threatened. The Resident District Commissioner (RDC) Mr. Nixion Owole explained that the decision to block journalists from covering council proceedings came out from the recent security meeting they held in Kampala where the press was cited to be reporting negatively some of the district issues hence warranting placement of ban of press from covering district activities. ‘’Members of the fourth estate thank you for coming and you are our good partners but for now, we are not allowing you access to the Council. In case you want any information about this particular activity of council then you may get it from clerk to council, ” said the RDC. The secretary for production in the district Mr. Francis Olweny criticised the police for besieging the district headquarters and making it a scene of the crime to only people from Tororo County. According to him, the heavy deployment of both the police and Uganda Peoples Defence Forces to guard council proceeding to some people reflected that there is something fishy that government is interested in Tororo to either suppress a particular tribe or it’s failing to give its position on the pending conflict between the Jopadhola and Itesots.